Jackie Adams-Ings is a Senior Partner with the accounting and litigation services firm of White, Zuckerman, Warsavsky, Luna & Hunt, LLP. Ms. Adams-Ings is a CPA and has had over twenty years of experience in a variety of accounting and litigation services including performance of business valuations, standard of living analyses, cash flow/income available for support, perquisite analyses, community property balance sheets, community/separate property, reimbursements, tracing assets, and financial analyses primarily related to marital dissolutions. Additionally, she has prepared complex dissolution accounting including analysis of Moore/Marsden, Van Camp – Pereira, Watts-Epstein, misappropriations, fraud, and tracing issues. Ms. Adams-Ings has worked and supervised staff on hundreds of cases. 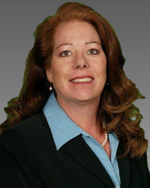 She has successfully assisted in settlement negotiations for numerous matters in mediation, Mandatory Settlement Conferences and Voluntary Settlement Conferences. Ms. Adams-Ings has testified on cash flow/income available for support, community property balance sheets, reimbursements, tracing and other financial analyses related to marital dissolution in Superior Court in Los Angeles, San Luis Obispo, San Bernardino, Alameda and Orange County. Ms. Adams-Ings is a member of the American Society of Certified Public Accountants and the California Society of Certified Public Accountants. Ms. Adams-Ings has presented financial topics to various study groups related to marital dissolutions, including the presentation of community property balance sheets containing issues of separate/community property characterization of real estate, pension, and businesses. She has made accounting presentations before the San Gabriel Bar Association and the University of West Los Angeles, School of Law. Additionally, she has conducted in-house training in areas relating to appraisals, tracing, community property balance sheets and cash flow/income available for support analysis. Ms. Adams-Ings received a Bachelor of Science degree in Business Administration with Accountancy option from California State University, Northridge in 1997. She has been a member of the firm since January 1989.